Hello and welcome to Florida Keys Shallow Water Flats Fishing. 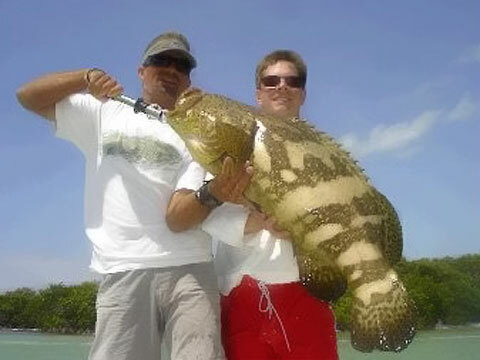 Are you ready to fish the gin clear flats of the Florida Keys? Come on down! I'm an amicable and patient guide who will work hard to make your day on the water a success. I have lived and fished in the Keys for over 25 years and have been guiding anglers on the flats of the Florida Keys for over 18 of those years. Whether you choose to fish for tailing bonefish and redfish or giant tarpon, I assure you an enjoyable, interesting and exciting day in the Florida Keys. Though I primarily sight fish for these gamefish, we can fish for easier targets as well if your skills are not as high as your expectations.